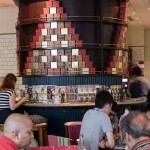 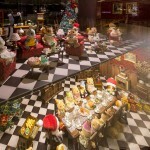 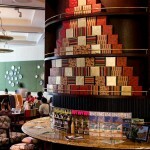 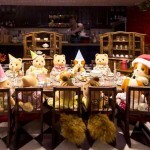 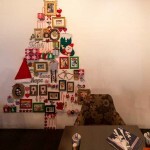 To create Christmas décor within the two restaurants that appears homemade and unique to match the home-room themed vibe and décor enveloping diners. 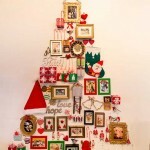 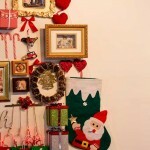 The Stripe Collective’s 2D design studio created Christmas trees and festive scenes out of everyday household objects. 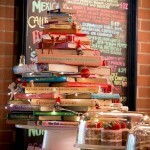 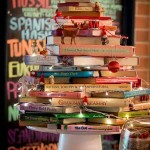 Christmas presents climbed around the columns to form little Christmas trees and a display of beloved books were arranged to form a tree, complete with fairy lights and decorations. 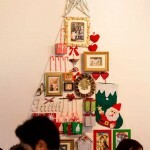 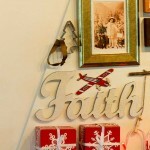 Walls were decorated with cards, photos, memorabilia and craft items. 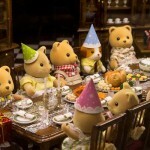 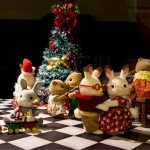 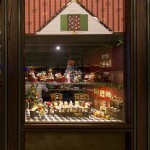 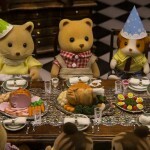 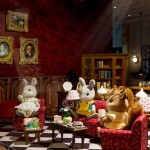 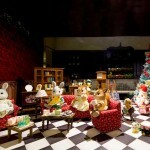 A “Christmas story” house was meticulously built and populated with Sylvanian characters, feast, presents, Santa and all. 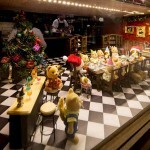 All provided many photo ops and a convivial environment for diners ready to partake of the Christmas spirit.